With the bank holiday weekend coming, many of us may be planning to trim the lawn or do a bit of home improvement. But surgeons have urged us to take care, saying there can be a spike in accidents involving gardening and DIY equipment at this time of year. Severed fingers and broken bones are among the gruesome injuries one surgeon says she often encounters. It comes as figures show there were 25,763 gardening and DIY-related injuries in England from 2014-17. 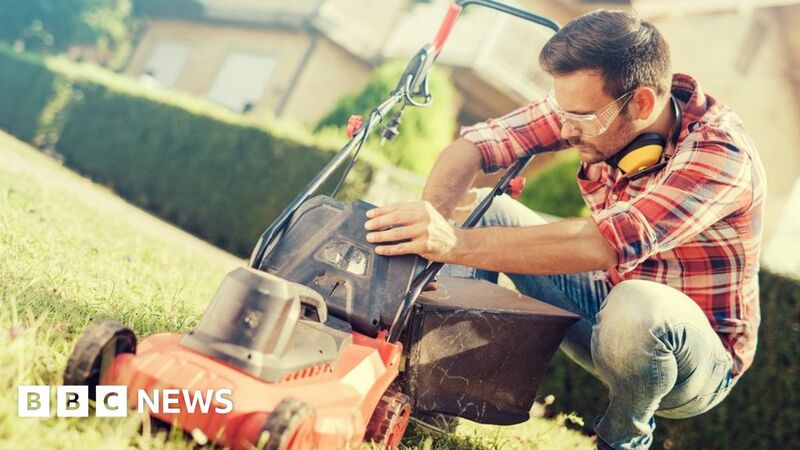 The accidents were caused by hand tools, lawn-mowers and other household machines and 90% of them involved men, figures released by the Royal College of Surgeons show. Helen Langford, from Manchester, was injured last year in an accident involving a second-hand electric saw. She had been cutting timber in her garage to make a side table when the saw slipped, cutting into four fingers on her right hand. “It was horrific,” Ms Langford, 56, said. She was taken to hospital after neighbours and a passer-by heard her screams, but in the end doctors had to amputate her middle finger and part of her ring finger on her right hand. Since then, she has had to undergo months of physiotherapy – along with trauma counselling – to regain some use of this hand. The injury, along with rheumatoid arthritis she’s developed in her left hand since the accident, means she can no longer play the piano, paint or do sculptures, which were some of her main interests. Of hospital admissions for DIY and gardening injuries, 58% were between April and September. Children and young people up to the age of 19 were involved in 2,082 of the incidents, with 397 of these involving those aged four or under. But when it came to lawn-mower accidents, it was the middle-aged and elderly who were most likely to get hurt, with 58% of admissions being of 40-74-years-olds. Prof Vivien Lees, of the Royal College of Surgeons, who works as a consultant hand and plastic surgeon, said this was typically one of her busiest times of the year. She said: “Over the past 20 years of working in the NHS, I have treated patients who have suffered some very serious injuries – from severed fingers and broken bones to painful infections. “These injuries often leave a lasting physical and psychological impact on their lives. Prof Lees added that people catching fingers on hedge trimmers was a common cause of injury, as were infections from thorn pricks from roses.